Hackers Profiling: Who Are the Attackers? How you would define yourself with respect to the hacking activities you are conducting? I’m a Black Hat. This means that hacking is my job and gives me salary. I run black-ops for those hiring me. I’m quite expensive. Mainly at school. At the University we also used to have a couple of cybercafés at the very beginning (around 1999-2000), which is basically where most of us started. What led you to become a hacker? I’d say it was a mix of friends and free time. I was a teenager hanging out at that cybercafé and… everything began there, ya know. I was impressed by the things those guys were doing, I just fell in love with hacking… it was that much easier to accomplish goals, hacking into servers, stealing information, pictures… a lot of fun. Then I went into other things, meaning money. Right now it’s just money. People can hire me, I do the job, get the money, and disappear. Have your motivations for hacking ever changed over time? I would say yes. At the very beginning it was all about curiosity and learning. Then I decided to step forward into the real world, where people pay you money because they don’t know how to play as I do. Are you part of a group or do you act alone? I was initially part of a group. Then some people left, others stayed, although they lacked real skills; in the meanwhile I grew up and updated myself. That’s why right now I’m working mainly alone. I may buy 0day from some friends, but I prefer to run all jobs alone. What criminal offenses have you committed with a computer? I guess they would include gaining unauthorized access to computer systems and networks; stealing accounts, personal information, and selling them out. And I guess also industrial espionage and money laundering. Have you ever been arrested or convicted for computer crimes? 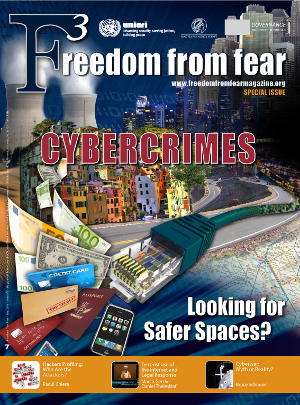 Have laws and penalties against cybercrimes had a deterrent effect on you? Sort of… but I’ve decided to take the risk. Have technical difficulties encountered when penetrating a system represented a deterrent or a challenge? What is your main aspiration? Stop working in 2 or 3 years, retiring, giving money to my family, buy my own house. Can you describe the impact and results of the hacking activities you have conducted? Have you aver considered the negative effects of your hacking activities on people? Are you talking about identity theft and this kind of things? Yes I did consider the effects, but… it’s not my fault if the victim is an idiot, I’m sorry. * Interview conducted by Raoul Chiesa in coordination with the UNICRI Management and External Relations team.